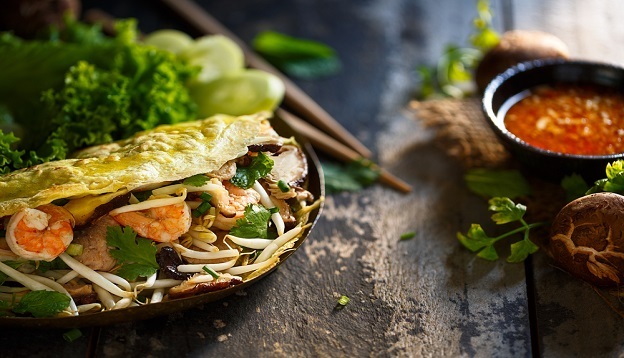 Regional, varied and sensationally delicious, Vietnamese cuisine is among the country’s most enticing highlights – come discover the feasting that awaits! Vietnam’s cuisine is inarguably one of the world’s most celebrated and the country’s culinary delights a huge reason so many choose to visit. Yet beyond the pho and banh mi thit lies a complex web of regional culinary heritages, all developed over centuries and all influenced by an eclectic mix of ethnic influences. In a country that literally delivers unique travel experiencing depending on where one goes, it reasons that regional gastronomic differences abound. Far from being homogenous, Vietnamese regional cuisines can differ dramatically yet are all based on the same principle: fresh ingredients grown, hunted or caught locally, cooked ever so briefly on high flames and with an abundance of added flavours by way of fish sauce, chilli, garlic, lemongrass, ginger and various herbs like mint and coriander. Served alongside scoops of boiled white rice or stuffed in a scrumptious Vietnamese baguette (a legacy of the French colonial era) Vietnamese food is, by far, one of the country’s very best highlights. Think that a steaming pot of pho is all there is to know about Vietnamese cuisine? Get ready to have your taste buds blown! Unique in many regards, Vietnamese cuisine makes little use of fats and dairy products, preferring to gather its tastes from herbs and spices instead, making it one of the world’s healthiest. Greatly influenced by the ancient philosophy of Wu Xing (or five essential elements) and Yin and Yang, Vietnamese dishes strive for all-round perfection whether by showcasing five colours and five fundamental tastes (sweet, sour, bitter, salty and spicy) or by providing a ‘healthy and beneficial balance’ by serving cooler meals in summer and hot ones in winter or by combining what they consider warm ingredients, like ginger, with cool ones, like seafood. Food is an intrinsic part of local culture and you’d be forgiven for thinking the Vietnamese are absolutely food obsessed. In many ways, they are. Family recipes are handed down through generations and everything, from the preparation to the consumption of a meal, is usually a sociable and shared affair. Being part of the process by taking a food tour or even a hands-on cooking class is a wonderful way to take home more than just a taste of this most important aspect of Vietnamese culture. The axioms by which Vietnamese regional cuisines evolved have created a very complex cuisine, making this one of the hardest to replicate at home. To visitors, of course, Vietnamese food is simply delicious and feasting with abandon about as good as a tour of Vietnam could get. The varying climate and topography of Vietnam mean that all of the country’s regions have become masters of their own specific domain, utilising their locally grown ingredients and creating unique regional specialities. Even something like coffee, which many outsiders think would be uniform the country over, can be served in different ways depending on where one travels. 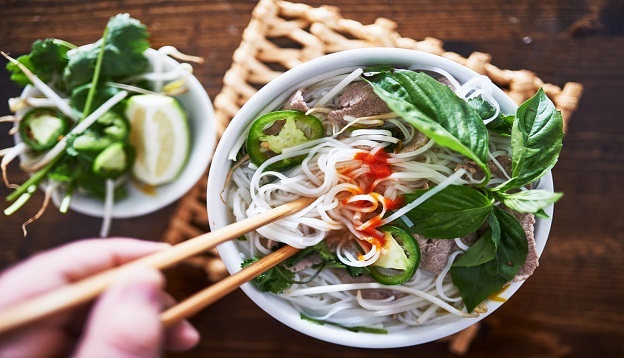 It’s no surprise to learn than pho, the hearty Vietnamese noodle soup that’s become a beloved dish the world over, originates from the northern mountainous regions of Vietnam, the coldest part of the country (at least in winter). Spiciness in northern meals comes compliments of black pepper – which grows superbly well at altitude – rather than herbs and chilli so dishes, overall, aren’t nearly as spicy or complex in flavour as they are in the south. 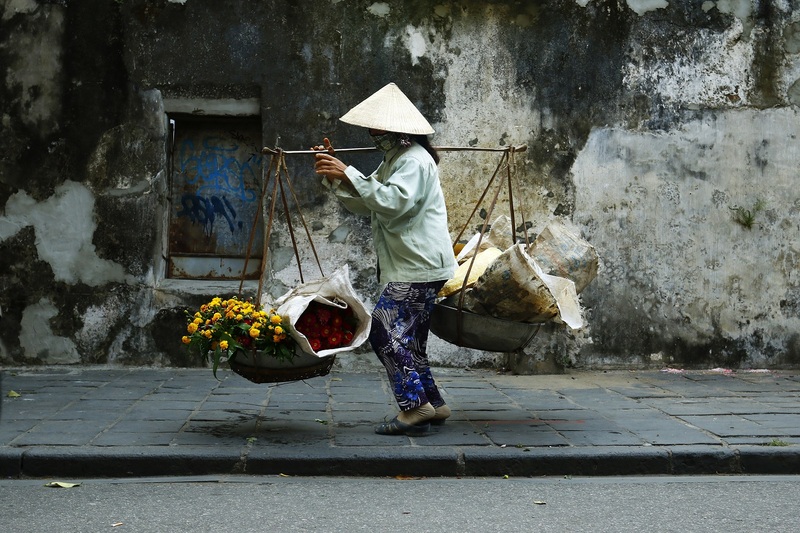 Given its proximity to Hanoi, northern cuisine features plenty of seafood and crustaceans, particularly crab and prawn. 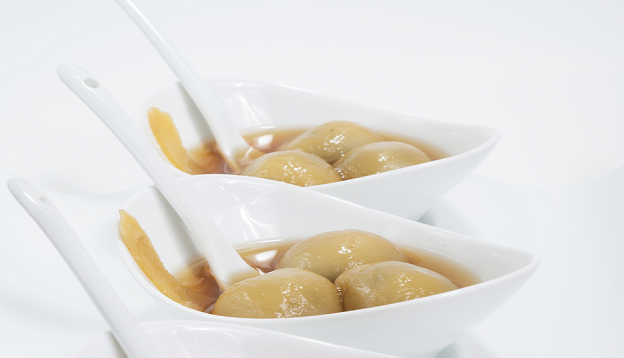 Due to the neighbouring Chinese influence, moreover, northern Vietnamese cuisine features a lot more soy sauce. Fishing is the main trade of the central coastal region of Vietnam and it is here that you can enjoy the most comprehensive seafood feasting of all. The idyllic climate also makes this an agricultural powerhouse and here most of the country’s herbs and chillies are not only grown but also used in local cooking. 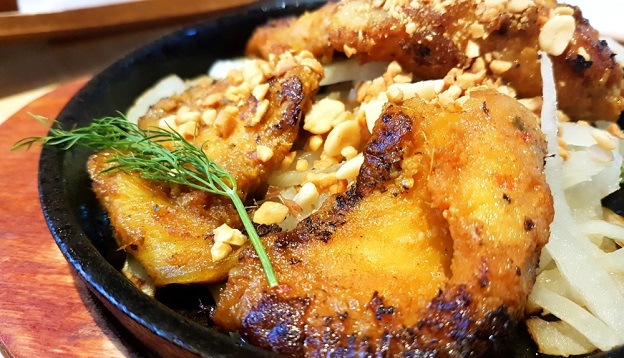 Many consider central Vietnamese cuisine to be just perfect, balancing tasty and spicy dishes that aren’t too sweet (like the south) and much more complex in texture and flavour than the north. Defined by warmer climates and a more distinct French influence, southern dishes are usually sweeter than those of the north thanks to the addition of sugarcane and a variety of tropical fruits. They also tend to be less spicy than their central counterparts but certainly spicier than their northern ones. 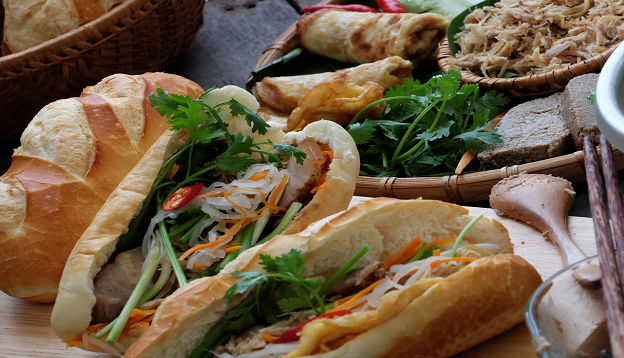 Southern Vietnamese cuisine is also the one whose prolific use of baguette is more pronounced. This is where the world-beloved banh mi thit originates. Given the much warmer temps, soups and stews tend to be much lighter here than elsewhere in the country although the widespread use of coconut milk – which really isn’t found anywhere else – makes them rather distinct and more than a little delicious. Given the popularity of the most exported dishes, you’ll find a variety of culinary delights available all over the country and not just the regions in which they originated. Which means no matter where you travel to in Vietnam, you can always take your taste buds on a culinary trip around the entire country. The famed Vietnamese pork rolled – stuffed with grilled pork pate (sometimes sliced), pickled and fresh vegetables and a mountain of herbs – banh mi thit is the ideal on-the-go food when you’re too busy sightseeing to stop and have a proper meal. The famous soup with the short name that seems to contain every ingredient under the sun: rice noodles, vegetables, oodles of herbs and wafer-thin slices of at least two kinds of meat. This hot and steamy bowl of deliciousness is heart-warming and very filling. Whilst it’s very difficult to find a bad pho in Vietnam, if you want to pay homage to its birthplace then seek out a pho-house in Hanoi. The city is still renowned for serving up the best pho of all. Since the episode of Parts Unknown aired a couple of years ago – showing President Obama feasting on bun cha with celebrity chef Anthony Bourdain – the dish has become the hottest must-eat in Hanoi. 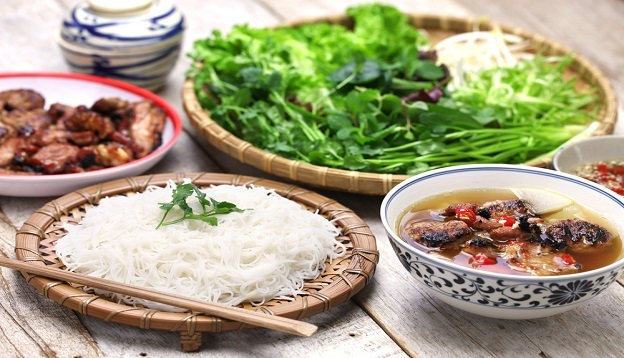 One of the few Vietnamese dishes using animal fat, bun cha is marinated chargrilled pork (and accompanying fat) served alongside a bowl of rice noodles, a mix of delicious herbs and a super tasty dipping sauce made from fish sauce, garlic, lime juice and vinegar. Follow the US President’s steps and enjoy yours at now famous Bun Cha Huong Lien in Hanoi. Because, to be honest, Bourdain didn’t get this one wrong. If you wanted to eat your own body weight in sizzling hot cakes topped with sliced pork, prawns and spices whilst travelling through Vietnam, we’ll join you. Europeans were the ones who introduced coffee to Vietnam and, as far as we can see, they’ve really taken to it. Locals love their coffee cold, poured over crushed ice, especially in the warmer southern region. 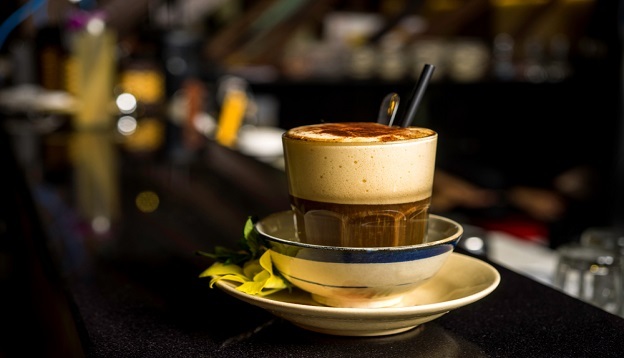 Served with condensed milk or – in certain regions – condensed milk whished with egg – Vietnamese coffee is delightfully potent. Freedom fighter in one part of the world and mouth-watering sticky rice and mung-bean sweet ball in another: Che is one of the best street-food desserts you’ll find in Vietnam. 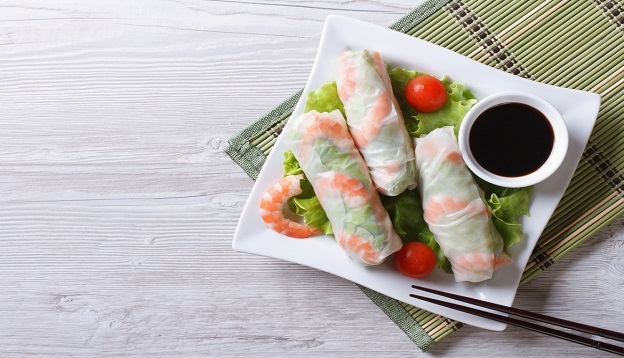 The delightfully fresh Vietnamese spring roll is wrapped in rice paper and served alongside a spicy satay dipping sauce. 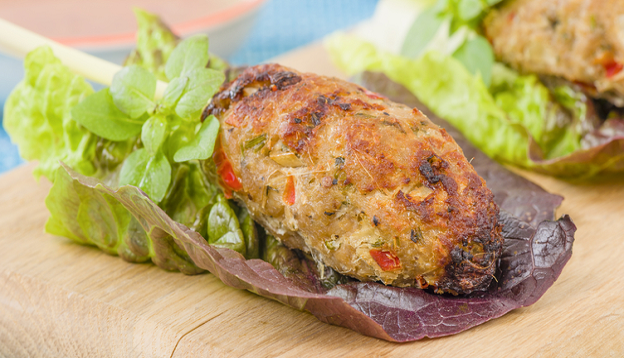 Minced meat (usually chicken or pork) mixed with a variety of spices, skewered on lemongrass stalks and grilled over a hot flame. YUM.OH. Vietnamese dishes may not necessarily be cooked for a long time but they can certainly be marinated for a long time. This Hanoi speciality is fish drenched in turmeric, shrimp paste, garlic and dill, pan fried and served over noodles. The dish was an invention of a local restaurant of the same name but is now replicated all over the city. That restaurant, by the way, is 100 years old and touted to be the oldest in the country. Cha ca la vong has become so famous in gourmand circles that it’s even inspired restaurants in New York City to serve various versions of it. 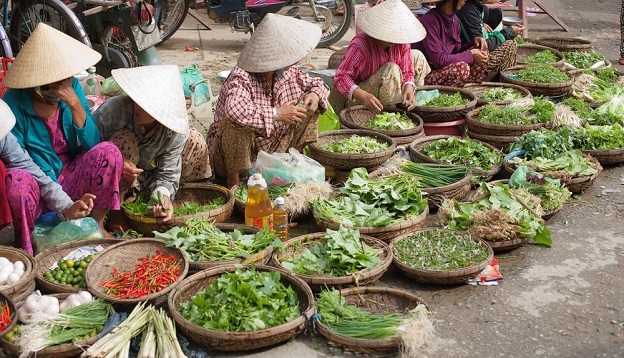 Feasting your way through Vietnam is made easy when local cuisines are this remarkable. We’ve loved every single morsel of our Food Tour Through Vietnam and relish the chance to take guests on foodie-inspired travels through the country. At Get About Asia, we specialise in dedicated private tours throughout Asia, where we combine authenticity with personalised service to create one-of-a-kind travel experiences that’ll tickle the taste buds. See our full selection of Vietnam Tour Itineraries and ask us how we can design a tailor-made journey that you’ll never forget.